Cindy Perlis has been director of Art for Recovery since its inception in 1988. 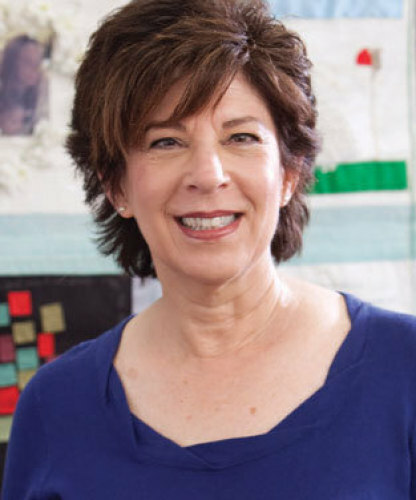 She has created and facilitated the Breast Cancer Quilts Project, Firefly Project, Employee Well-Being Project, Healing Garden Music Series, Open Art Studio for anyone dealing with cancer, writing and art workshops, on the Bone Marrow Transplant Unit. Cindy has published: The Firefly Project, Conversations about what it means to be alive, Bedside Manners, What to say and what not to say when someone is ill, The Portable Artist Workbook and The Portable Artist Coloring Book, Art for Recovery Book of Prompts for Reflection, and the Teacher Anthology. Cindy is an artist and has painted eight murals throughout UCSF and created the Mount Zion Meditation Room. She is currently serving on the Mission Bay Core Committee for Arts and Interiors, and the UCSF Patient Family Advisory Board. Her career began in research on 18th and 19th Century American Painting and Sculpture at the Smithsonian Institution.